At the # 1 investigation team of the Tokyo Metropolitan Police Department, Detective Shinichi Tagawa (Hiroshi Mikami) begins to investigate an unsolved case involving a homicide by a robber at bar in front of Nakano Station. The unsolved case took place 5 years earlier. The robber wore a mask and stole money from a bar employee. During the robbery, he killed a veterinarian and a gangster. At the beginning of the investigation, the criminal was assumed to be a foreigner. The two victims did not know each other and were waiting for different persons. 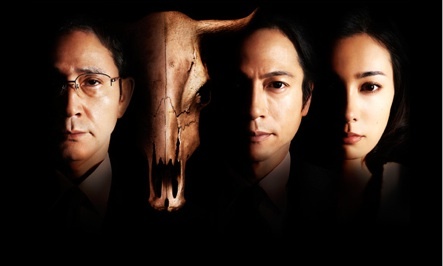 During the course of the investigation, Detective Shinichi Tagawa arrives at Meat Box, a meat processing plant. Detective Shinichi Tagawa also learned that after the murder, the veterinarian's two computers were stolen in his room. Detective Shinichi Tagawa wonders if the murder wasn't for money, but rather a premeditated killing of the two victims. While working on the case, Detective Shinichi Tagawa meets again with reporter Masumi Tsuruta (Kazue Fukiishi). Based on information obtained from a reader, reporter Masumi Tsuruta investigates Meat Box, for manipulation of their meat products. Based on novel "Furueru Ushi" by Hideo Aiba (published January 31, 2012 by Shogakukan).